Would you like to see the return of Apple's classic rainbow icon? Apple has filed to update the design trademark for its iconic multicolored Apple logo, last used by the company in 1999. 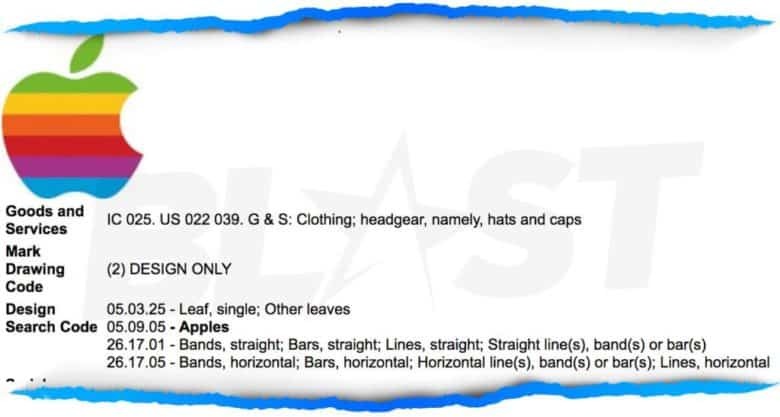 But despite one unlikely report claiming that Apple will be using for a new clothing line of “hats and caps,” we’d personally be surprised to see it make a return. Here’s why. In the past, Apple has frequently made sure to keep the proper protection on its past trademarks, mainly to avoid them falling into rival company’s hands. Each time, this causes excitement that Apple will bring back an abandoned part of its past — whether it was last year’s update of the PowerBook brand (which didn’t happen) or the previous renewed trademark on Apple’s iconic “Think Different” tagline (which is also M.I.A). In both of these cases, Apple didn’t deliver on the nostalgia dose expected in some quarters. That means that, sadly, reports of a retro-style Apple clothing line (the reference to clothing on Apple’s filing is likely to make the trademark as broad as possible and stop imposter clothing lines springing up) is unlikely, and reports that we shouldn’t “be surprised if Tim Cook walks out to the next Apple Keynote sporting a fresh new lid [featuring the old Apple logo]” is likely a bit premature! Apple replaced the striped, multicolored logo it had used some 1977 on August 27, 1999 as part of the Steve Jobs-led rebrand of the company upon his return. When Apple made the decision to officially scrap the rainbow logo, it issued a memo to vendors saying that they shouldn’t use it anymore. The company then replaced it with single-color versions of the logo in different colors, with vendors able to choose between either black or red versions of the flat logo. 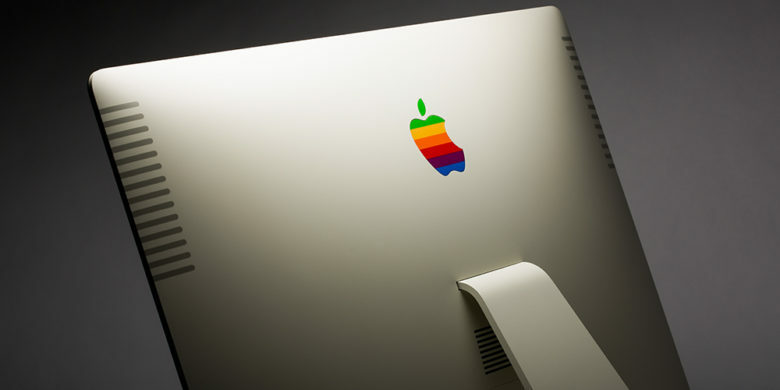 The multicolour aspect of the original logo was originally designed to show off the fact that the Apple II boasted full color, which was then a rarity for personal computers.